Look around Sydney and you’ll see battles being waged in nearly every suburb between residents’ action groups and the state government. From Penrith to Bondi the warzones are green spaces, heritage buildings and community facilities. The terms of conflict are consistent: the government is attempting to override local opposition to overdevelopment in underserviced suburbs. A conflux of changes has contributed to the explosion of residents’ action groups. The immediate factors are the back-to-back victories of a business first (people second) Baird/Berejiklian government, which decided in 2016 to forcibly merge councils and appoint administrators to oversee decision-making. Stripped of local representation, residents were forced to self-organise to oppose reckless developments. The deeper trends are the subject of academic debate. How does the modern individualised subject who no longer sees himself or herself as belonging to a neatly identifiable bloc choose to engage in politics? Frequently, it seems, by joining a residents’ action group. The common refrain by those whose commercial interest is interrupted by these groups is to accuse them of NIMBYism, naive tree-huggers unaware of economic imperatives. Developers argue that they are responding to demand fuelled by Australia’s soaring population. People must live somewhere. Do you want house prices to rise even higher by stymieing supply? The false dilemma of “houses or heritage” positions preservation of our history as an obstruction to progress. The question we must ask is whether the plan for a city is viable when liveability requires carnage. In Parramatta, the community’s answer is increasingly becoming “no”. When the community discovered that the plan to move the Powerhouse Museum to Parramatta required the demolition of the 150-year-old Willow Grove and St George’s Terraces, to be replaced by two 50-plus storey tower blocks, local opposition exploded. The North Parramatta Residents’ Action Group petition secured more than 10,000 signatures in a week. This was a “no” to not just the destruction of heritage buildings, but a revolt against a government deciding what your neighbourhood will look like and who will profit from it. 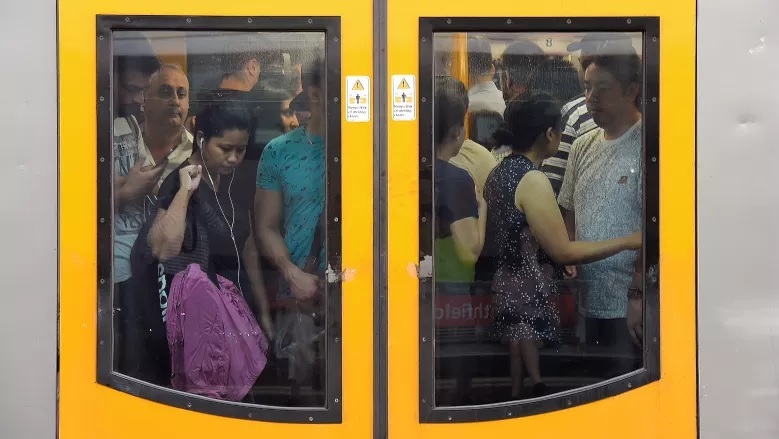 All across Sydney people feel underserviced, overcrowded, dwarfed by high-rises, squished into train carriages, smothered by streets flooded with cars and crammed onto toll roads. Willow Grove is only one of many speed bumps in the government’s quest to flatten and rebuild Australia’s largest city. It’s not too soon (nor too late) to ask what the future of Australia looks like. Can our governors imagine an Australia that goes beyond a dormitory for property investors, a quarry for multinational mining corporations and a beach for tourists? Resident action groups are asking our leaders to imagine a clever country, not just a lucky country. A stone’s throw from Willow Grove, the 30-hectare Fleet Street Heritage Precinct in North Parramatta is home to 77 state heritage-listed buildings, including the 1835 Parramatta Gaol, the 1841 former Roman Catholic Orphan School, the 1848 Cumberland Hospital and the national heritage-listed 1818 Female Factory. Set against this rich history, the location presents a unique opportunity to create contemporary arts and cultural precinct, infused with the continent’s colonial legacy and Indigenous history. Such a site would be special to the world. Or it could be a human ant colony. Aidan Anderson is the president of the North Parramatta Residents’ Action Group.